Description: Who's ready for a great camping trip with Crystal and Ava? 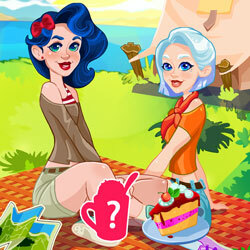 Help them decorate the tent and choose what food they should pack, so the girls can have a perfect trip. Then, choose your favorite outfits for the girls so they can camp in style. Have fun!